TV One celebrates Black History with a tribute to inspirational black women and a full schedule of programs that exemplifies this year’s theme, “REPRESENT CHANGE.” The network will premiere a short form video campaign featuring influential black women who are impacting change in our nation, and their communities and families. Featured campaign participants include Kimberly Bryant, Founder & CEO, Black Girls Code; Monique Nelson, Chair & CEO, UniWorld Group; Mahisha Dellinger, CEO & Founder, CURLS Beauty Brands;Tamika Mallory, Co-President, Women’s March; Luvvie Ajayi, Author/Cultural Critic; Elaine Welteroth, Beauty/Fashion Expert; Patrisse Cullors, Co-Founder, Black Lives Matter; Bilphena Yahwon, Author/Activist; Monique Brown, Baltimore Police Commander; Adrienne Lofton, Sportswear Marketing Expert; Yo-Yo, Hip Hop Artist/Activist; Cleve Mesidor, Activist/Technology Innovator; Michelle Rice, TV One General Manager; and Arielle Johnson, Founder, Fierce Empowerment. The campaign will feature 30-second on-air interstitials that highlight the women speaking on the impact of action and change. Across its digital and social platforms, TV One will feature in-depth profiles documenting their start, their struggle and ultimately, how they became champions of change. Both elements of the campaign will run throughout February. 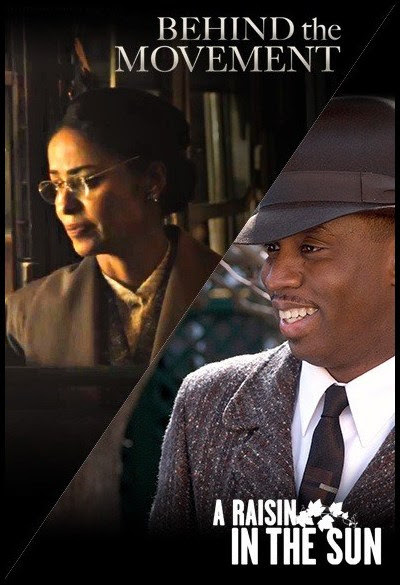 While the network focuses all year long on all facets of Black life and culture, Black History Month on TV One is a special time to honor the tremendous contributions that African Americans have made throughout the world. Beginning Wednesday, February 6 at 9 p.m. 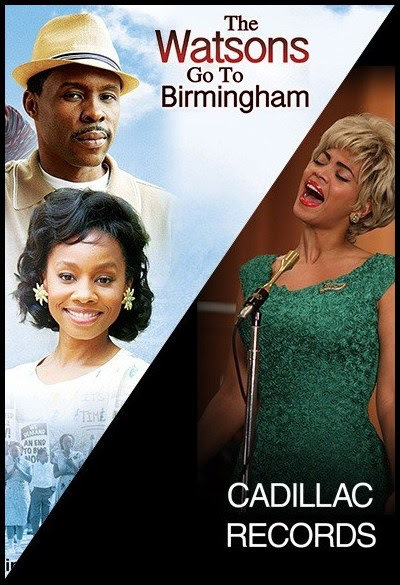 ET, the network will air movies that celebrate women at the forefront of important moments in history, including the TV One original film BEHIND THE MOVEMENT, A RAISIN IN THE SUN, CADILLAC RECORDS and THE WATSON’S GO TO BIRMINGHAM. Additionally, TV One will present weekly themed episodes of its signature series UNSUNG HOLLYWOOD beginning Wednesday, February 6 at 8 p.m. ET featuring female artists who’ve inspired change that will lead into the feature movie presentations. Featured actresses include celebrated performers Vanessa Bell Calloway, Pam Grier, Eartha Kitt and Sheryl Lee Ralph. The popular franchise UNSUNG HOLLYWOOD profiles some of the most talented, versatile, and influential black celebrities in Hollywood, from movies and television to comedy, sports, and more. Sheryl Lee Ralph has captivated audiences for decades. From her memorable portrayal of Deena James in the multiple Tony Award-Winning Broadway musical “Dreamgirls,” and starring roles in films such as “The Mighty Quinn,” “The Distinguished Gentleman,” “Sister Act 2: Back in the Habit,” to lead roles in sitcoms including “Moesha,” she is a constant in Black Hollywood. Sheryl is also a preeminent AIDS activist, founding the D.I.V.A. organization which aims to raise funds and awareness for HIV/AIDS. Sheryl shares her journey on and off the screen in this episode.